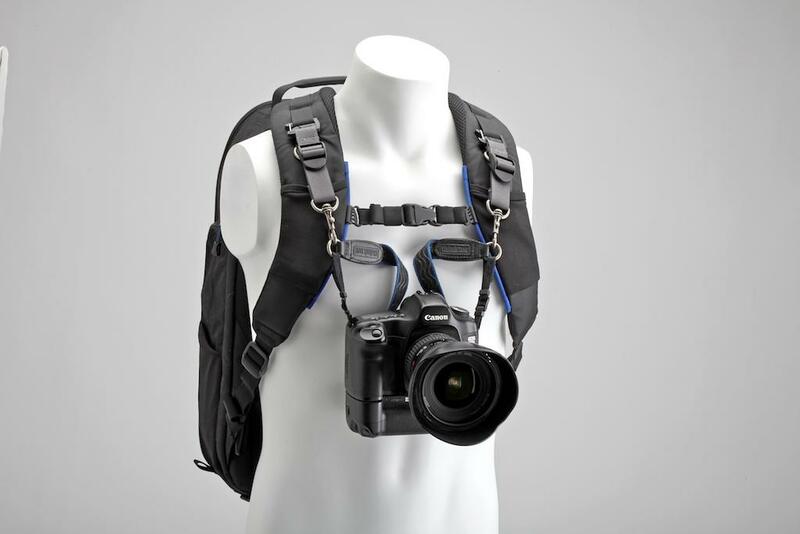 The Camera Support Straps™ V2.0 provide a convenient and comfortable way to attach one or two cameras to the front of backpack straps or a harness. 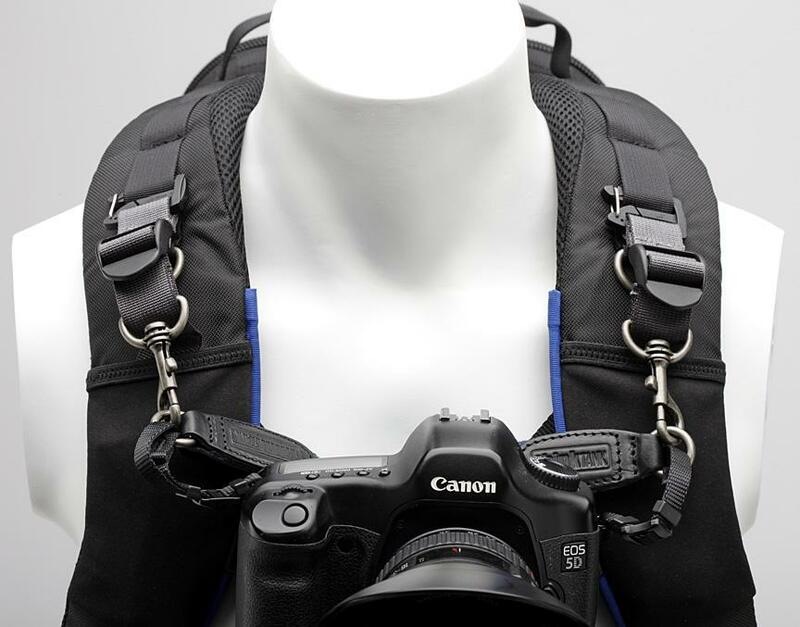 By using the Camera Support Straps™ V2.0 the weight of a DSLR and attached lens are suspended on the front of the backpack or harness. 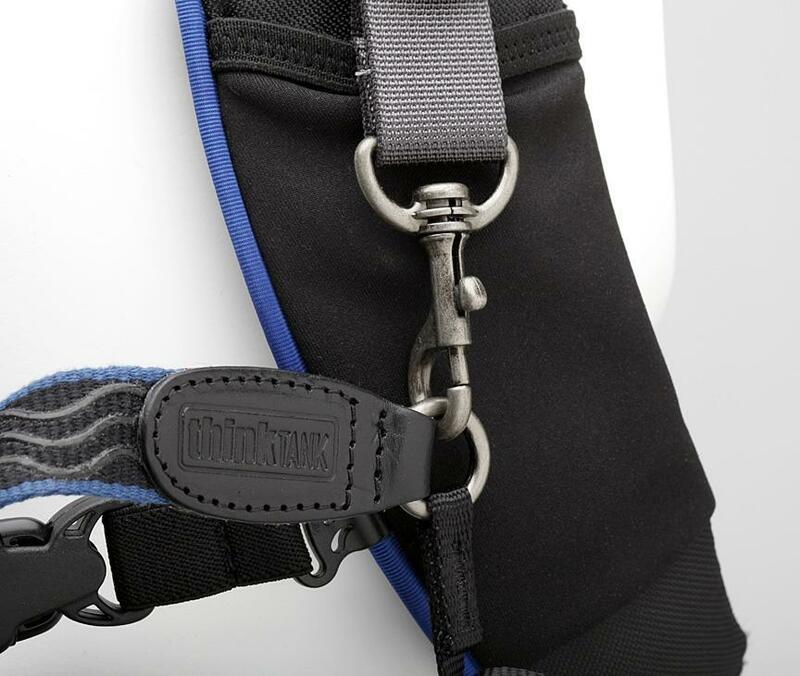 This helps to reduce the stress on your neck and shoulders. 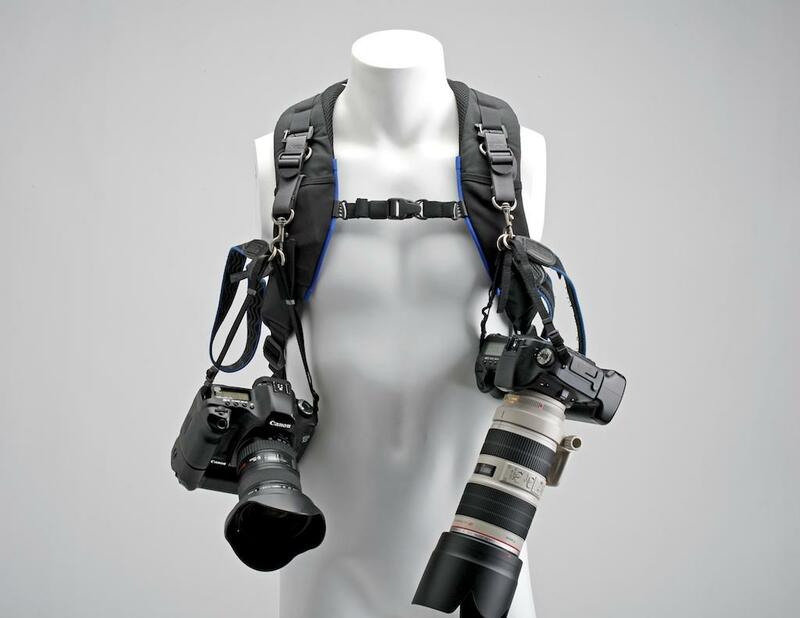 The Camera Support Straps™ V2.0 are compatible with all Think Tank Photo Backpacks, Shoulder Harness™ V1.0 & V2.0, Pixel Racing Harness™ V2.0 and Belly Dancer Harness. 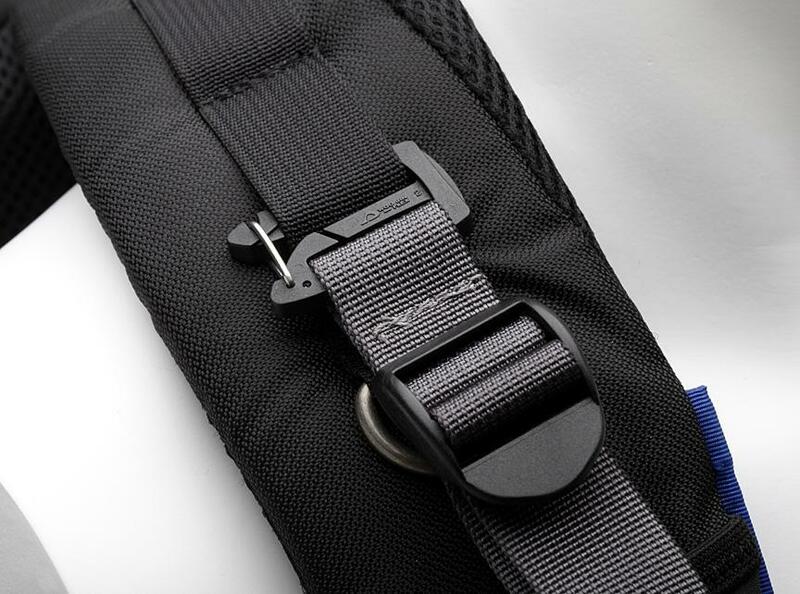 Once connected to a backpack or harness, the Camera Support Straps™ V2.0 provide the connection point for linking a Think Tank Photo Camera Strap™ V1.0 or V2.0 to the backpack, in order to hand the camera in front of you.